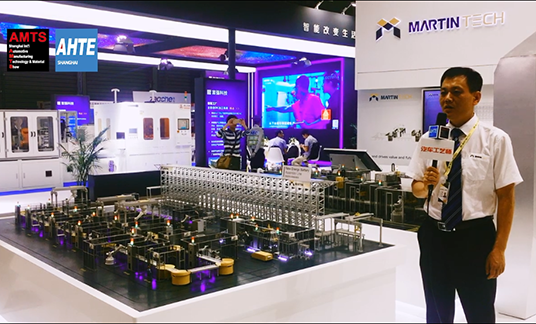 Guangzhou MINO Automotive Equipment Co., Ltd.
As a founding exhibitor, Mingluo has participated in AMTS for many years. 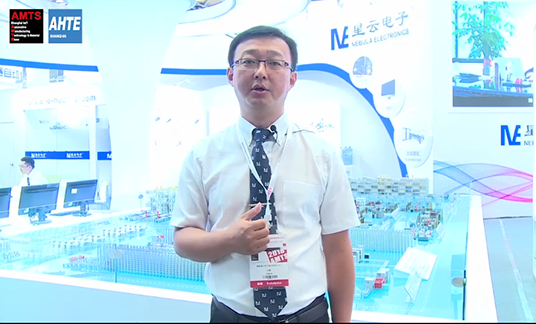 We can see the size of the exhibition is growing, and it is becoming more and more successful. We hope that the AMTS organizers, like us, will follow the spirit of the craftsmen and build a unique exhibition with high international standards. We also hope they can meet the challenges, and create a more exquisite and successful exhibition brand. 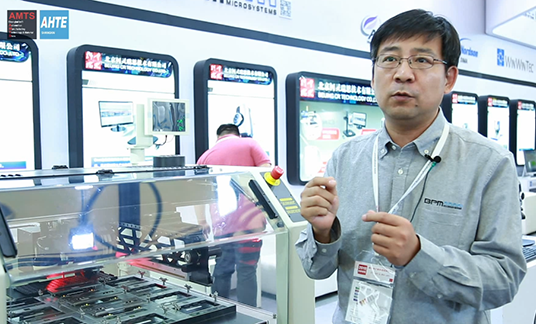 Staubil (Hangzhou) Precision Machinery Electronics Co., Ltd.
Staubil takes part in AMTS every year. AMTS is a very professional exhibition. Its visitors are mainly from the automotive and automation fields. We hope that the professional visiting groups will come to our booth as soon as possible to get to know the new products we have brought this time. 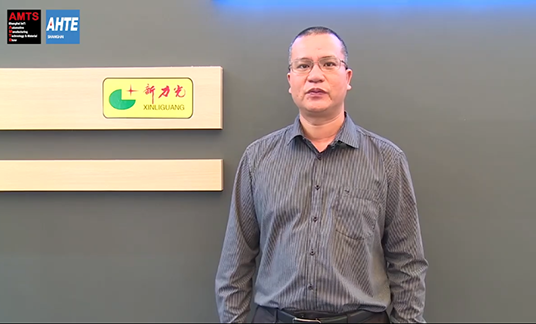 TIANJIN JINLIYAN AUTOMOTVE ENGINEERING & TECHNOLOGY CO., LTD.
AMTS is a good platform. It provides opportunities to understand the needs of domestic enterprises. We also get a lot of feedback and suggestions, while collecting information about a large number of potential customers. I hope AMTS will get better and better. We also hope to continue our participation in AMTS. We are exhibiting for the second time. Last year, the result was very good and our performance doubled. In addition, we are investing more in image promotion. We hope that, with the help of the AMTS platform, more people will know us. It’s the fifth time that we are joining in the show, every year it is creating more and more leads, and it is why for us to increase our investment and especially we create a special event to launch the CONNECT. We are investing more and more because the return on this show is a big bag call to the company. 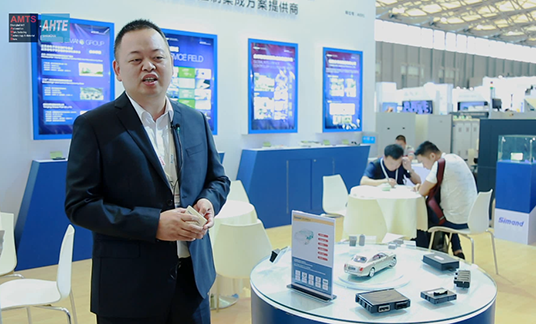 FUJIAN NEBULA ELECTRONICS CO., LTD.
Nebula Electronics has brought a series of solutions to AMTS&AHTE. They include the formation & capacity grading of the battery cores, and the manufacturing and testing of battery modules and Pack. Following the latest manufacturing concepts, our products are produced with the most innovative technology. It has been applied in vehicle factories and battery factories for some time. 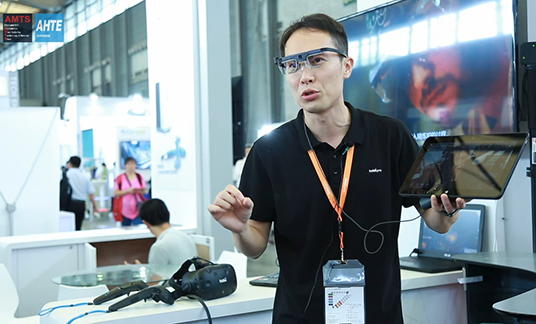 This is the second time Nebula Electronics has taken part in this exhibition. The scale and professionalism of the exhibition was surprising to us in the first time. 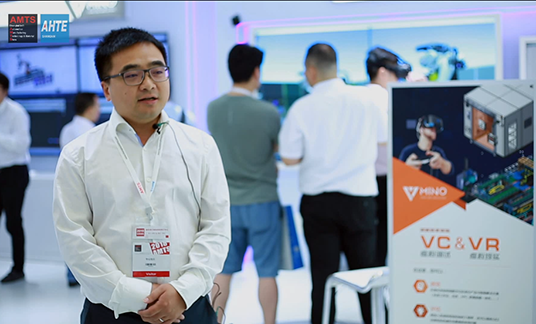 In view of our exchanges with peers and customers, the exhibition is very successful. We are exhibiting at AMTS for the third time. We feel that AMTS is improving year by year and is constantly developing. 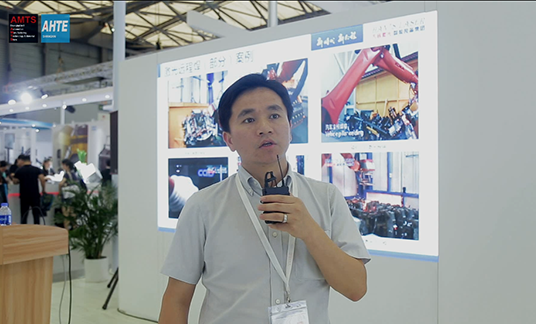 This is a very good platform to demonstrate the automotive equipment and technology. The exhibitors and visitors are both very professional. We are very happy to meet new and old friends here. Thank you very much for hosting the exhibition. AMTS is a very good platform for technology presentation and business contacts. 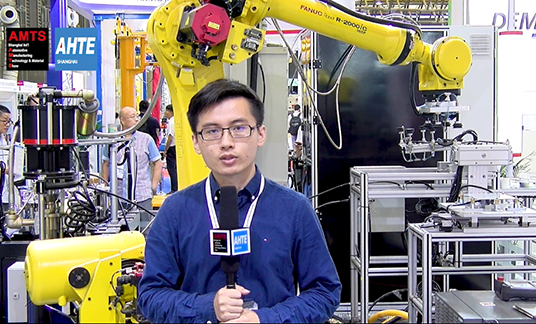 We hope to introduce our visual technology into more industries and serve as a link between processing and assembly industries. teas tape (Shanghai) Co., Ltd. This time TEAS brought a fixture solution for the external decoration parts that can greatly reduce the labor and time, and improve the fixture performance. Although it is the first time TEAS participates in the AMTS, we had participated in two summits hosted by the organizer before, through which we saw how professional the organizer is. So we decided to participate in AMTS. Through this exhibition, we get to known a lot of excellent parts and components enterprises at home and abroad. 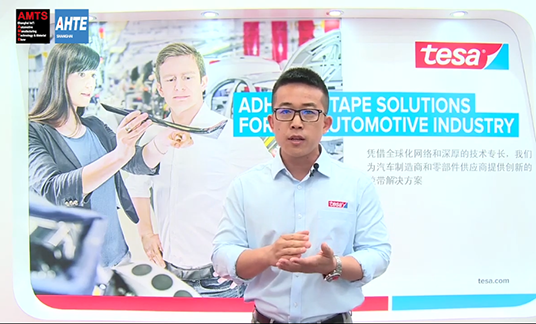 We also hope that TEAS’ adhesive tape solutions can contribute to the development of the Chinese automobile manufacturing industry. —————— ·Evan Ding teas tape (Shanghai) Co., Ltd. 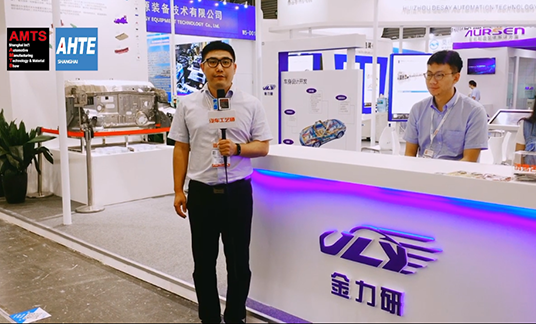 The AMTS & AHTE exhibition is a very good opportunity for us to make contact with customers from the automobile electronics industry. 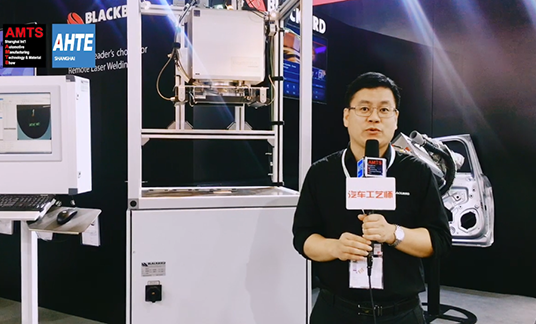 Hekeda Precision Cleaning Equipment Co., Ltd./Suzhou Hekeda Ultrasonic Cleaning Equipment Co., Ltd. This is the second time we have participated in the AMTS, and we are very grateful to the organizers for such a platform. All the exhibitors and visitors are very professional and we had very efficient communication. We meet here with our old friends and make contact with new friends. We have made great results. I wish AMTS better and better. Our main exhibit this year is a bunker feeder equipped with X-ray image processing capability. It is now widely used in the automobile industry and we have received a lot of inquiries from potential customers at AMTS. We are happy about the overall results. 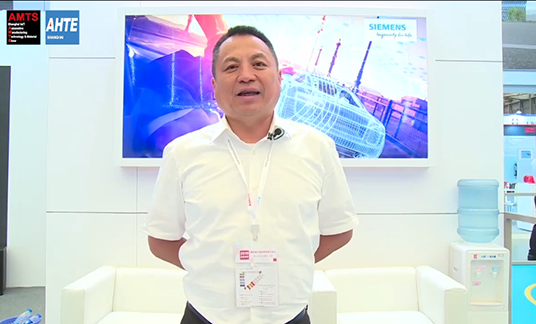 This is the fourth time that SIEMENS has participated in the exhibition. I also took part in the exhibition personally every time, and I am very happy about our cooperation with the organizer, Forever exhibition. As for the 4 exhibitions I participated, I feel that the exhibition is bigger every time, with more visitors and products. 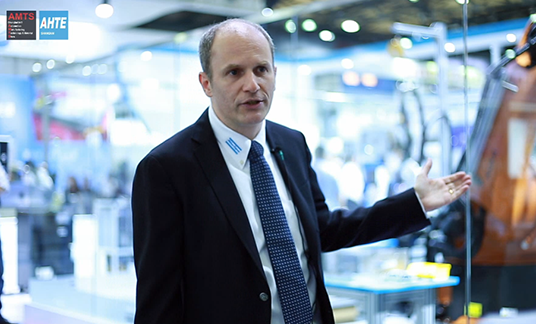 At this AMTS, SIEMENS is making a full exhibition of its highlight technologies in intelligent automotive manufacturing. AMTS is a professional exhibition for the automobile industry and we have participated for a number of times. After over a decade of development, AMTS has made significant growth. Its visitors used to be limited to white car body manufacturers. Today, they are from different fields like assembly, parts,and New Energy Vehicles. It is obvious that AMTS have become a large-scale comprehensive exhibition. 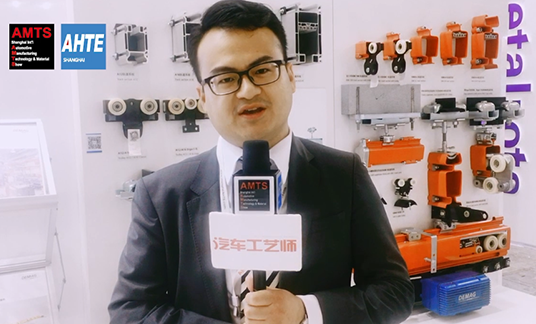 Bolhoff (Wuxi) Fastenings Co., Ltd.
For us, this is the first time to participate AMTS, we are impressed with the organization and the companies participating. This is a very important exhibition, we have a lot of customer visits this morning, I am sure the clear inquire will soon come out. This is our second exhibition at AMTS. AMTS is very professional and we attach great importance to the opportunity it provides. At AMTS, we can not only communicate with old customers, but also meet many new customers. 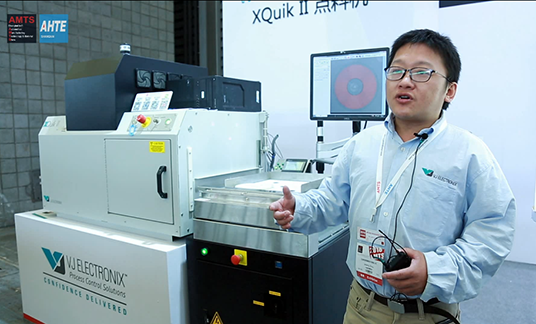 Teamtechnik Production Technology (Suzhou) Co., Ltd. The main purpose of Teamtechnik at this AMTS is to promote our automatic assembly and testing solution platform mainly used in automotive, medical, new energy and power battery industries. 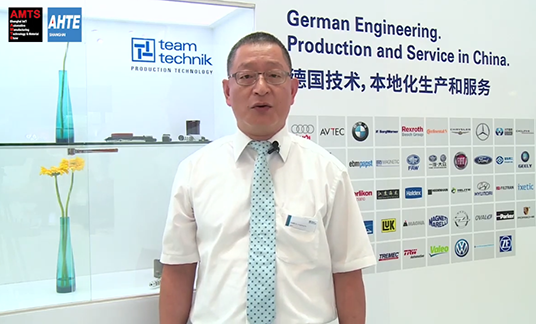 This is the fourth time Teamtechnik participate in the AMTS&AHTE exhibition. We think that in the past few years, with the development of automation industry, Teamtechnik has gained a lot at AMTS. And this year is especially great. We not only saw a lot of old friends, but also received a lot of new inquiries. We have made contact with many new potential customers They are very interested in our solutions and will communicate with us about the design requirements in the near future. So in general, we are very satisfied with the current AMTS. 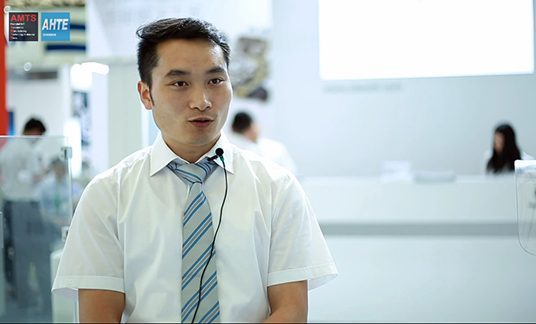 Atlas Copco Industrial Technique (Shanghai) Co., Ltd. This is not the first time we attended the show, actually this year it is the first time to attend with the copco brand, but we have attended before with other brands like SGS, SGA. And you can see the traffic is very good. We are very happy with the show. 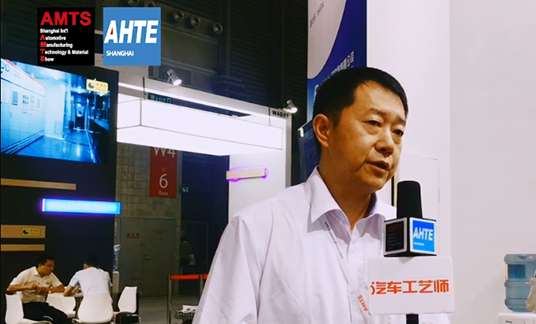 DONGFENG DESIGN INSTITUTE CO., LTD.
We are exhibiting at AMTS for the first time, but we have paid much attention on it before. 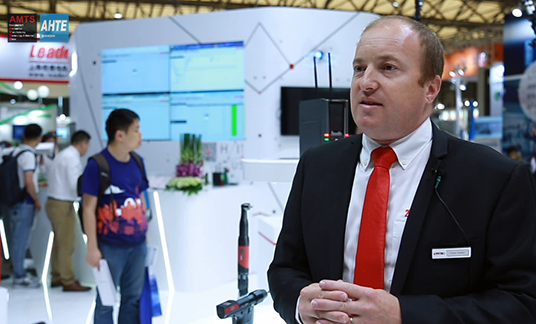 AMTS is excellent in terms of the exhibition range, technology level and coverage. 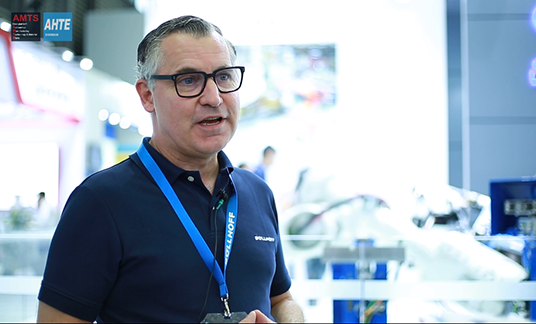 The exhibition has also successfully attracted a number of well-known auto manufacturers. We have made very important exchanges at the exhibition. AMTS has greatly promoted the development of our digitalized plant. This is the third time we participate in AMTS. It is a very good exhibition, juding by the results we made in the last two exhibitions. We have made very good exchanges with many automobile manufacturers and auto parts manufacturers. Some of them have turned into partnerships or even large orders. We hope the exhibition will become even better in the future and expect more exhibitors and visitors. Jiangsu simand electronic co., LTD. This time we have brought with us solutions for flexible car bodies: high-speed transportation system and flexible transition system. We also exhibited our virtual debugging solution. The virtual production process is displayed on the screen, so the production process is greatly shortened. This is our first exhibition at AMTS. In the past we have come as visitors. The visitor flow is very good this year and we have made great results. It is very beneficial to our future. Dongguang Xinliguang Surface Treatment Technology Co., Ltd. 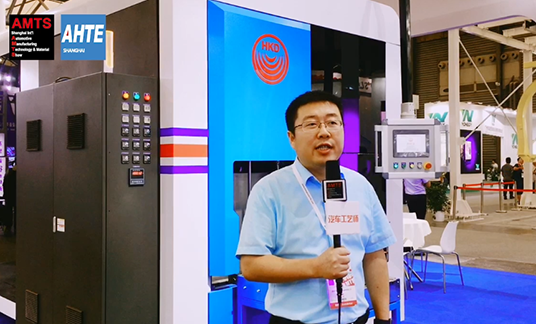 This year, Xinliguang mainly brings solutions in intelligent assembly, automatic loading, coating and environmental treatment to help enterprises achieve more efficient manufacturing at lower costs. 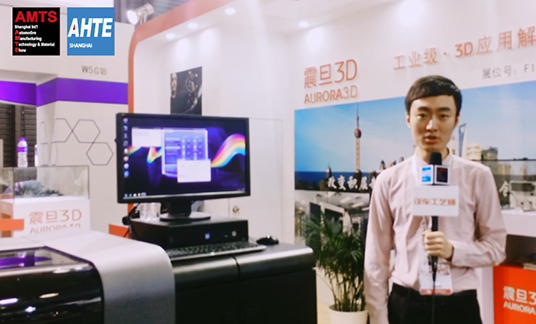 This is the sixth time Xinliguang participate in the AMTS exhibition, so we can say AMTS has witnessed the growth of Xinliguang. Since we were first attracted to the exhibition by its reputation, we have made a lot of friends and met a lot of customers. Now we are competing in the international market. 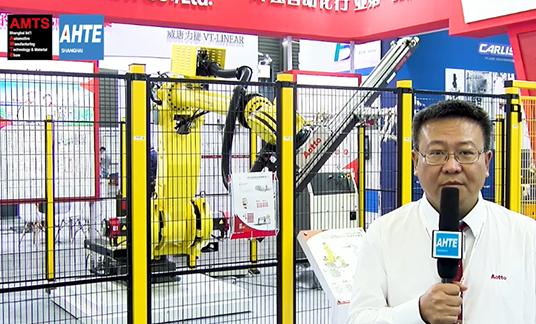 Jinan Aotto Automation Co., Ltd. This is the fourth time we participate in AMTS. AMTS is becoming better every time and our booth is also bigger and better every year. It is safe to say that we are growing with AMTS. AMTS has offered great help. Moreover, we have also won several awards from AMTS. We are very grateful for the support from the exhibition organizer and visitors. Through AMTS, our company has not only made contact with a large number of new potential customers, but also received many feedback and suggestions from the old customers. Our management is also very satisfied with the results. We are thankful to the organizers. © 2016 AMTS. 版权所有. 技术支持 SMARTINFO.